Basseterre, St. Kitts-The final line up released for the St. Kitts Music Festival was developed to target a North American demographic according to tourism Minister Lindsay Grant. 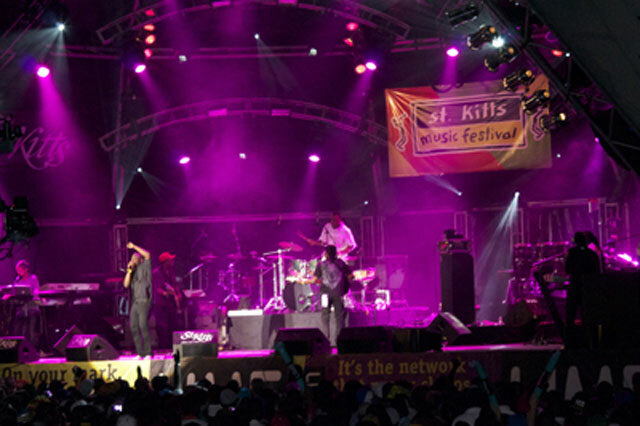 The festival that was established to attract stay over visitors to St. Kitts and Nevis during the tourist off season is about to enter in its 21st anniversary celebrations and is expected to feature acts such as Third World, Goo Goo Dolls, Movado, Ricardo Drue among others. However Minister Grant indicated that the festival has fallen short over the years for to deliver on its promise. “For me the music festival has not been delivering what we want it to deliver and expect it to deliver,” he said. The Tourism Minister stated that is why acts such as the Goo Goo Dolls had been added to the line-up to help to attract that market. “Some people may say who is that but we are doing that to attract a certain market. At the end of the day music festival is supposed to put head’s in the beds and to put heads in the beds we have to give an artist that will attract those from North America,” he said. He also announced that they have started discussions with the cruise lines to see if they can get them to stay over in port on the nights of the festival. “We have just started discussions with that obviously it won’t happen tomorrow but we expect maybe in two years we will have cruise ships docked here with 10,000 people adding value to the festival,” he stated. Many in the community have been critical of the music festival line up indicating that the voice of the local community not being heard in the artiste selection process.